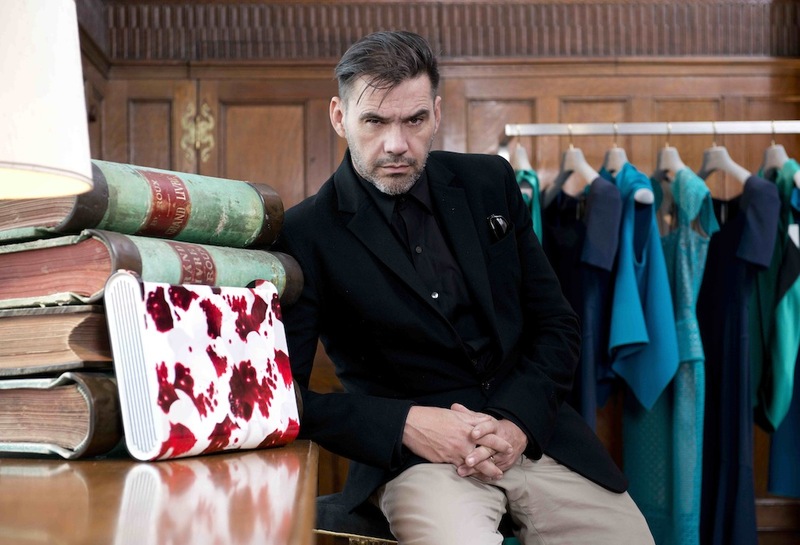 We ask designer Roland Mouret, whose pieces have been worn by Victoria Beckham, Eva Longoria, Diane Kruger, Blake Lively, Charlize Theron and just about every supermodel on the planet, our 21 questions. I wake up around… 8a.m.— I need eight hours of sleep every night! The first thing I do when I wake up is… shower. When I get dressed I think… about the collections straight away. The item of clothing I'm currently wearing most is… my black Acne sweater. When I'm looking to get inspired I… fold fabric and work in 3D. I'm most productive when I… switch off and watch movies; it lets my mind wonder. I would never travel without… my iPad, as I can watch back-to-back episodes of my favorite TV shows. Every woman should own… a fitted dress. One luxury item I'm dying to splurge on is… too private to say! The biggest fashion mistake women make… is to believe that clothes are more valuable than themselves. When it comes to Fashion Week, I think… London is the best! I'm most excited about the winter because… I'm taking some time off and relaxing. On a typical Saturday night I… watch what I want, when I want, with James [Webster, Mouret’s artist husband] and my dog Dave, in front of the log fire. My beauty essentials include… a lot of oil from Aromatherapy. When I'm stressed I… switch off and watch a good crime thriller. 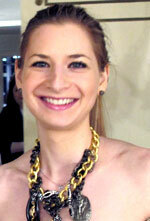 When it comes to celebrities wearing my pieces… I’m flattered. My biggest fashion regret is… still to come. My favorite place to shop is… Mr. Porter. The most amazing place I've ever traveled to was… Kuwait, last month. My hope for 2014 is… not having too many surprises, like the world can deliver.